Safe water for every child, at every corner of the globe. It’s at the core of our vision here at Lifewater, and each year, thousands of people with a heart for children partner with us, including children themselves. The ReadySetGo team performs their first clean water-themed play. The team chose Lifewater after being tasked with creating a project that addresses a real community need through educational nonprofit Destination Imagination; each year, the nonprofit holds competitions in science, engineering, fine arts, and more, for children from preschool through university. With a first-place win at the regional competition in Arroyo Grande, Calif. last year and $370 fundraised for clean water, the ReadySetGo team has decided to advocate for clean water again in 2019. “My favorite part is when we do service learning things, we can actually help people instead of just saying it or trying,” Jack said. The team can hardly contain their passion for providing safe water for children. 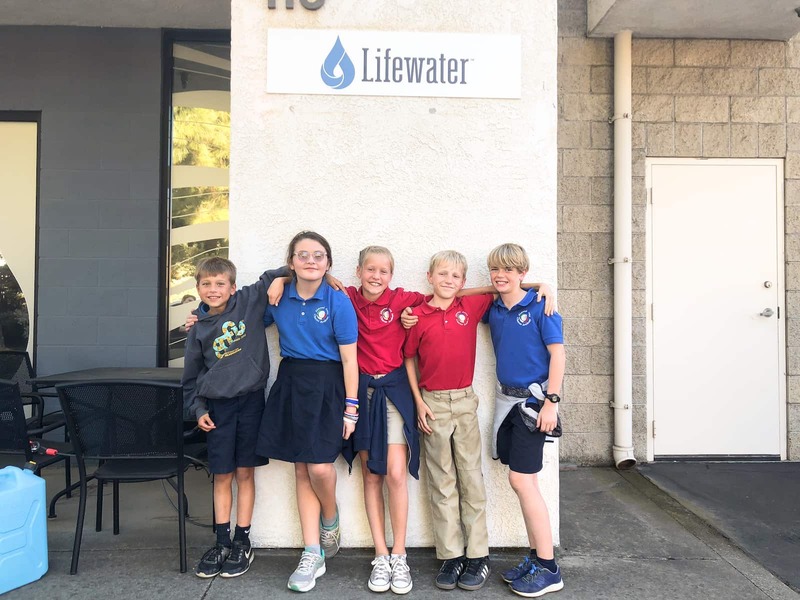 The ReadySetGo team poses for a photo outside Lifewater Headquarters in San Luis Obispo, Calif.
“We want to help them so they can have clean water as well,” Lauren said. The ReadySetGo team is living reminder that the “kingdom of heaven belongs to such as these” (Matthew 19:14). This year, the team chose to do a service learning project again and took on the challenge to perform a play with the theme “Escape.” According to Jack’s mother, Shiloh Hamon, the children’s Destination Imagination challenge requires performing a play in which they build suspense, include facts, and stretch their imaginations while addressing a community need. “I hope they realize they can make a difference and have fun, be creative, and still impact the world,” she said. Shiloh said this year’s Lifewater-themed play will involve fighting a lion in East Africa. Regionals are scheduled to take place end of February 2019 at Arroyo Grande High School. With good marks, the ReadySetGo team will continue on to the national competition in March and the global competition in May.